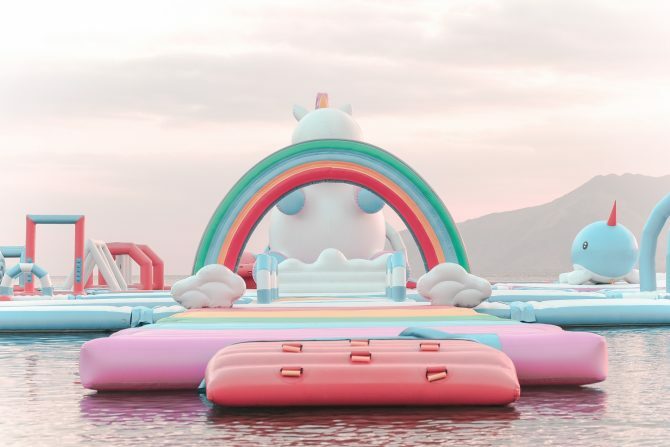 Just as we though the unicorn trend has come to its timely (or untimely, your call) demise, 2018 decided to one up us with a massive inflatable unicorn island… that’s practically the stuff of your wildest unicorn dreams. 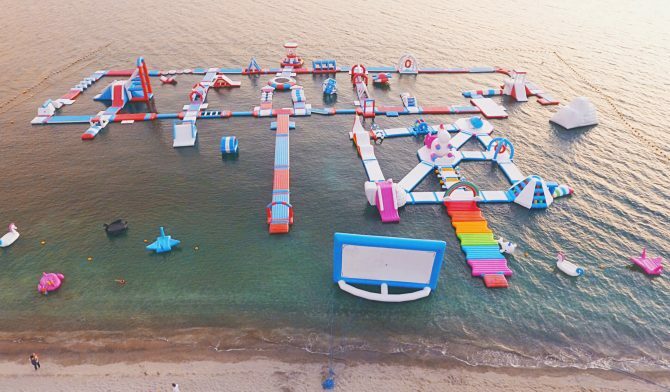 An easy two and a half hours away from the capital city of Manila, Inflatable Island in Subic, Philippines, has just gotten a little bigger from 3,400 sqm to over 4,000 sqm, just in time for summer. Who needs that pot of gold at the end of the rainbow when this inflatable rainbow, beginning to end, is all yours to bounce on? When you do get tired of all the bouncing action, just plonk yourself down wherever you want and relax under the pink skies at sunset. 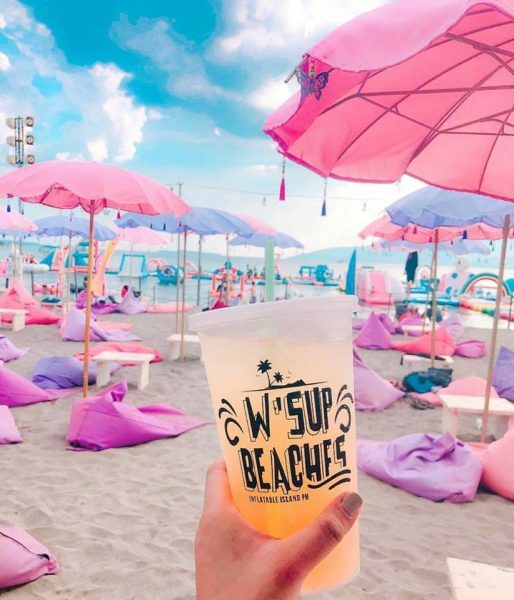 Inflatable Island’s new Pink Bali Beach is dotted with pink and purple tasseled umbrellas and bean bags (which we’re guessing explains the pink in its name), perfect for lounging in the sand with a drink in hand when you need a break from all that bouncing. 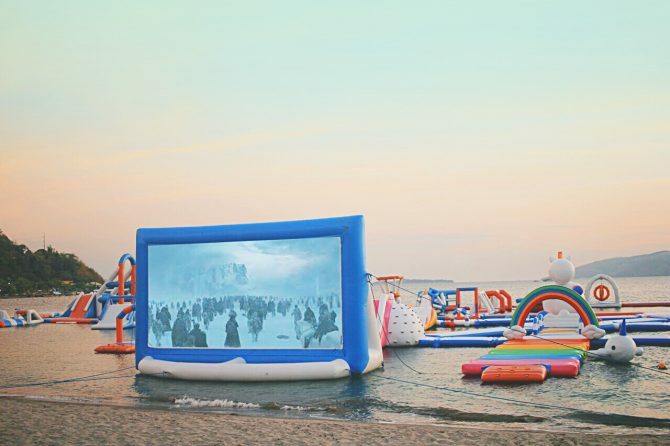 As the sun sets, slide deeper into your bean bag and enjoy a movie by the beach. Ah pastel-coloured beach life, we’re so coming for you the next time we’re in the Philippines! 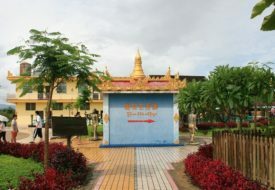 Prices range from PHP 499 (~ 12 SGD) for a two hour pass to 1399 (~ 36 SGD) for a whole day pass.